The Leupold BX-2 Cascades offer durable, roof prism binoculars that feature fully multi-coated lenses and phase coated BAK4 prisms, this provides a bright, crisp image. Twist-up eyecups and long eye relief make them ideal for use with or without spectacles. The body is constructed from aluminum, with rubber armouring, the Cascades are fully waterproof and nitrogen filled. 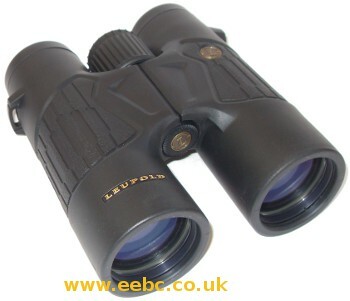 The Leupold Cascades BX-2 8x42 is ideal for viewing nature and birdwatching, the bright, crisp image allows even the finest detail to be seen clearly. 24/03/2012 07:12:00 Purchased these a week ago, and haven t been able to put them down. They are shockingly isailmr in overall quality to a pair of 8 30 Swarovski SLC binoculars I used for several years but lost. Center sharpness and contrast are excellent, and even edge sharpness is very good- which is surprising for a binocular of this low price. The weatherproofing has already handled snow and rain, with no difficulties. Coatings on lenses and prisms seem to be excellent, given great low light performance, as well as almost no color distortion- even in difficult lighting conditions. (Just did early morning bird watching with some snow on the ground and the sun rising- no color distortion- even on edges of brightest, whitest areas.) The only improvement I can think of for these, at this price, is a wider field of view- but the 6.5 degrees is still totally acceptable- just not quite the 8 degrees plus I was used to from the Swarovski. But we ll let that slide because of the $700 savings!!!! Also, if you destroy these, you won t feel the need to purchase them a burial site. $250 isn t cheap for me, but it sure beats $950. As a side note, these binoculars can even handle direct viewing of bright lights at night, with very little flaring. This is a great test of lens coating and internal baffling to keep views clear. Also, the strap that comes with these is the best I have ever seen- it has a stretch fabric pad on it at the neck portion- which makes it as though you aren t even wearing them. I have read complaints about the lens caps in reviews on other sites, which say they fall off easily. I don t use caps when I carry them, so this isn t an issue. Also, the lenses are set back into the rubber armoured surround- so it would be challenging to find a way to scratch the lenses anyway. Also, no offense to Nikon, but I did a side by side of these and the 8 42 monarchs at a sporting goods store- the performance is isailmr, but the view through Leupolds is MUCH brighter. FOR THE PRICE, THIS IS A 5 STAR PRODUCT. 24/03/2012 09:01:21 Thank you for your comments, but I am a little unsure as to why you needed to repost a review which was originally on Amazon.com about three years ago. These Leupold BX-2 Cascades are an updated version and better than the version the review was talking about.